The Relisys TL995 is only just more than half the price of the most expensive models in its class. Better still while it's £20 cheaper than the Philips on test, it features built-in speakers and dual analogue and digital video inputs, neither of which you have on the other model. The spec sheet is even more impressive in terms of contrast and brightness, with high maximum values of 700:1 and 300cd/m2 respectively. Like looks, however, numbers can be deceiving. Firing up the Relisys, the first thing we had to do was pump up the brightness and contrast controls to near their maximum levels. Even then, the screen image lacked any real life, compared with other monitors on test. Colour performance was a similar story. While colour rendition was accurate on the whole, vivid colours tended to look slightly muted, giving test screens and photos a slightly lacklustre appearance. Switching to gameplay and DVD movie-watching, there's more bad news in that, with a response time of 25ms, the Relisys is the slowest-paced panel in the group. In practice, it did manage to keep up with the fastest action in our test games and movies, but the screen lacked the crispness of other monitors in the group. All of these slight inadequacies make the Relisys a poor choice for photographers, game players and multimedia enthusiasts. 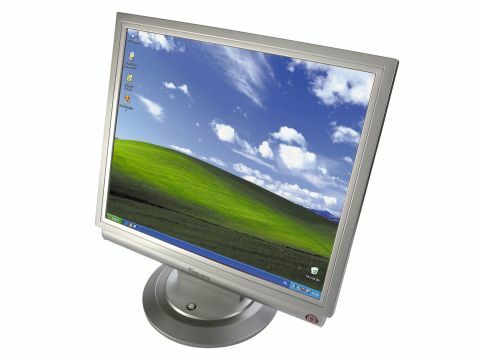 However, if you're after a monitor for simple Internet use and office programs, the TL995 still manages to offer a very sharp display and its low-contrast screen makes for many hours of comfortable viewing.